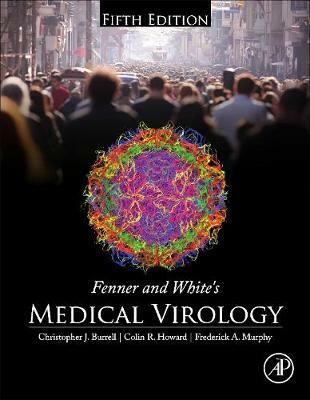 Fenner and White's Medical Virology, Fifth Edition provides an integrated view of related sciences, from cell biology, to medical epidemiology and human social behavior. The perspective represented by this book, that of medical virology as an infectious disease science, is meant to provide a starting point, an anchor, for those who must relate the subject to clinical practice, public health practice, scholarly research, and other endeavors. The book presents detailed exposition on the properties of viruses, how viruses replicate, and how viruses cause disease. These chapters are then followed by an overview of the principles of diagnosis, epidemiology, and how virus infections can be controlled. The first section concludes with a discussion on emergence and attempts to predict the next major public health challenges. These form a guide for delving into the specific diseases of interest to the reader as described in Part II. This lucid and concise, yet comprehensive, text is admirably suited to the needs of not only advanced students of science and medicine, but also postgraduate students, teachers, and research workers in all areas of virology.